Sometimes the original is so perfect that there is really no room for a parody. Here is a video about brushing teeth on Shabbat. 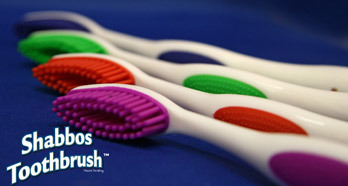 And now that you know, you can get this Shabbos toothbrush with an instruction manual (pdf file). (thanks to Olga for pointing out the video).